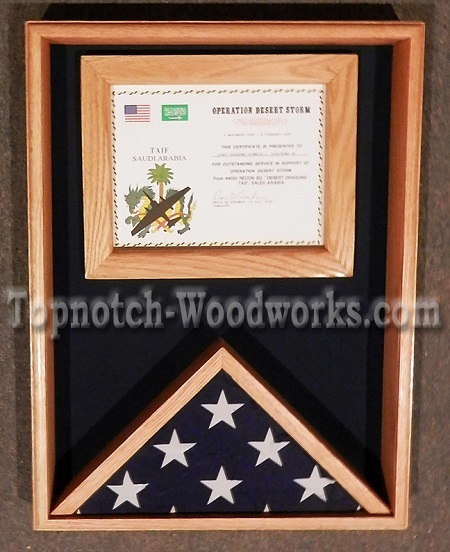 The 18"x24"V Shadow Box from Topnotch Woodworks is the perfect shadow box to display any combination of memorabilia and 1 flag! 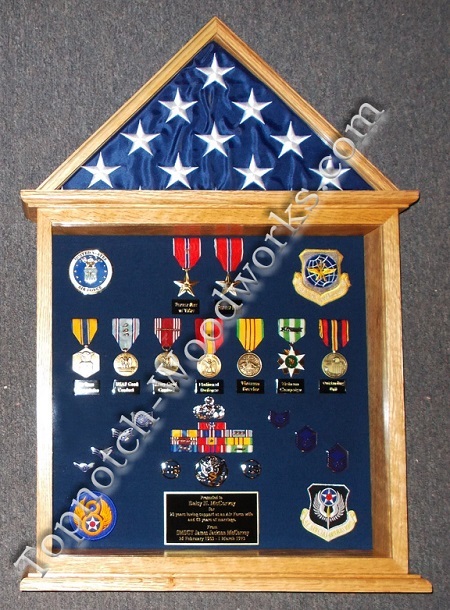 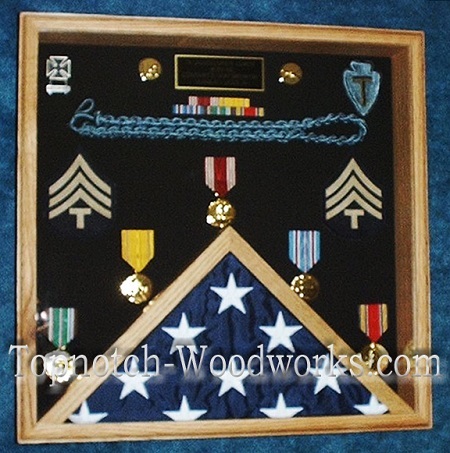 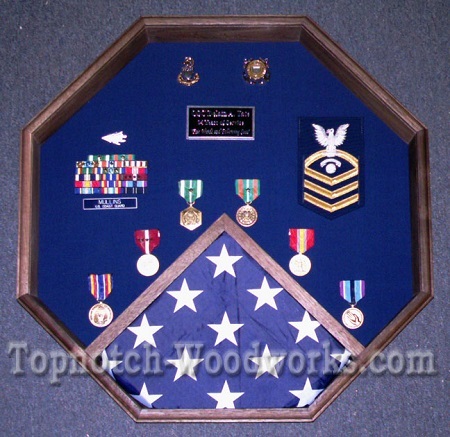 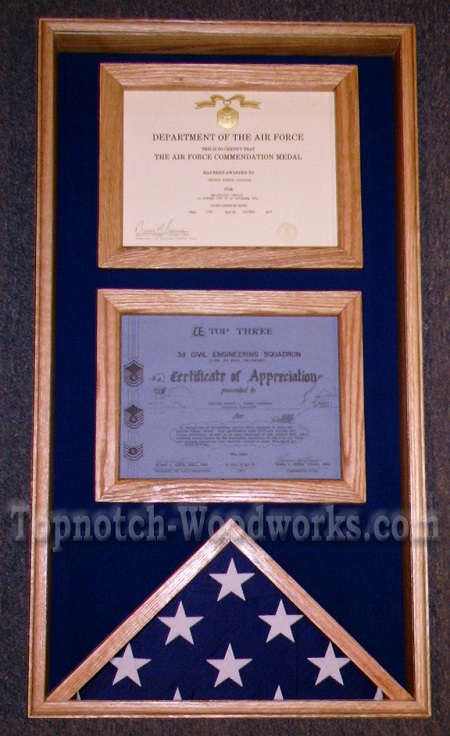 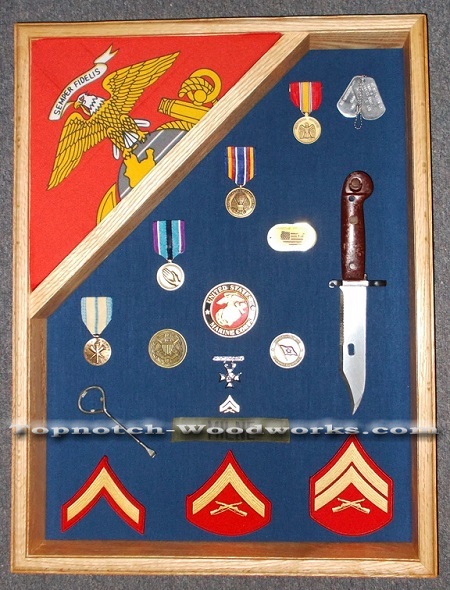 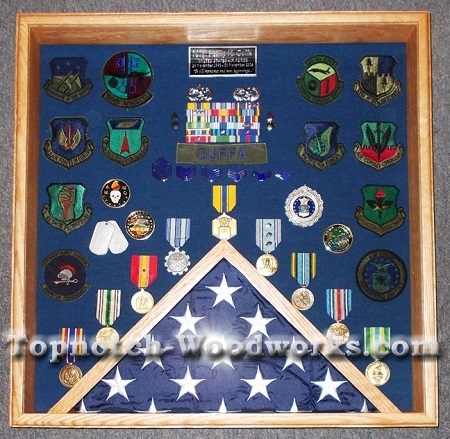 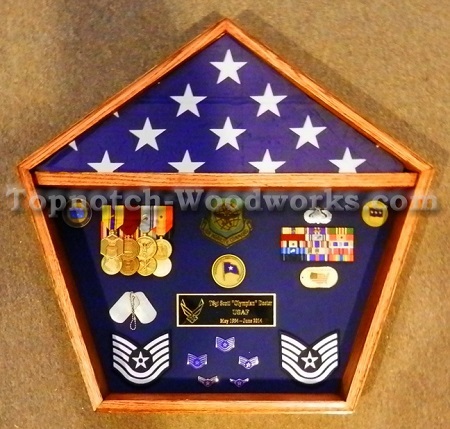 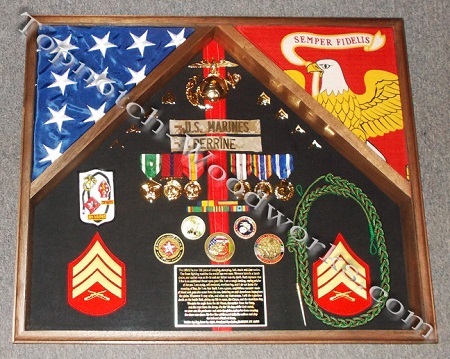 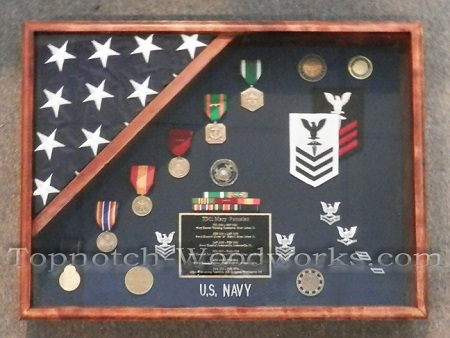 This 18"x24"V Shadow Box is handcrafted, right here in the USA by a former 20 year USAF Veteran. 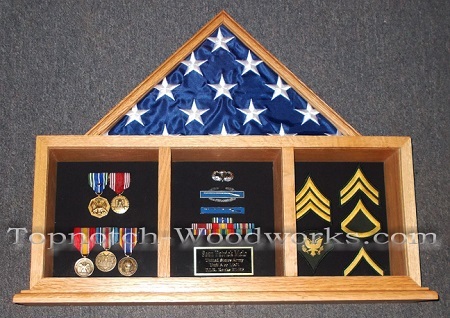 Built in a choice of different hardwoods and finished natural or a stain of your choice. 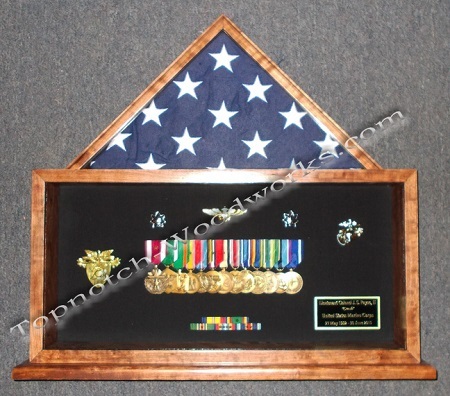 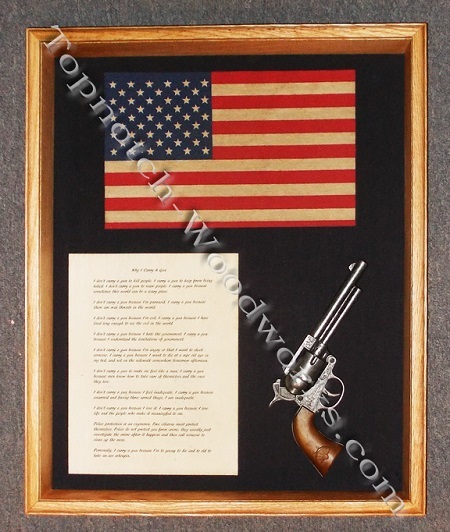 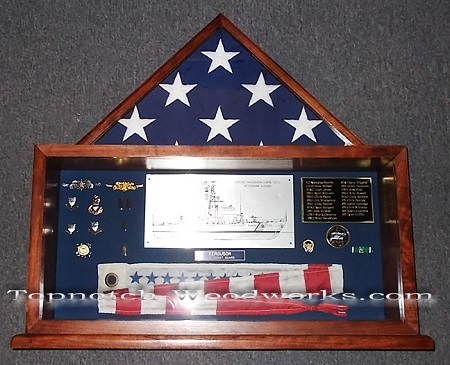 The 18"x24"V Shadow Box holds flags up to 3' X 5'. 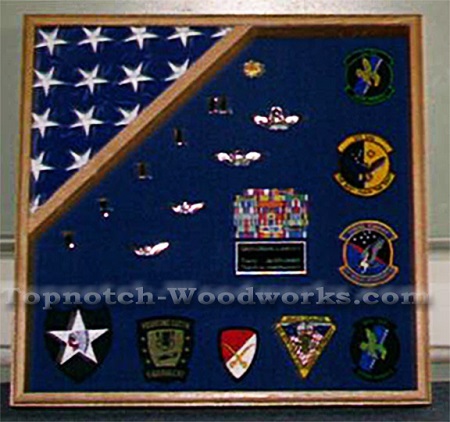 Display area dimensions are 18 x 24, mounting bracket included. 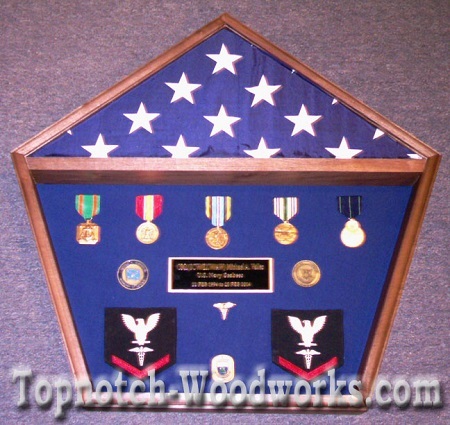 We can mount just about anything you would like, making the lower compartment completely to your design. 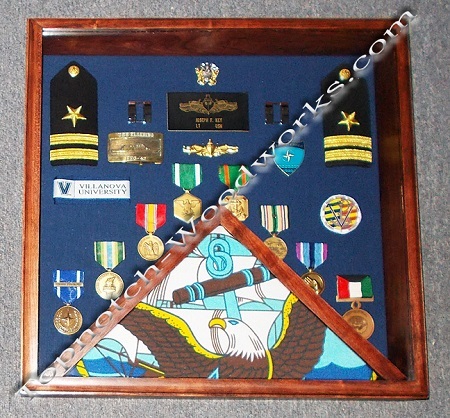 You design the interior; we will mount, clean and seal up the case ensuring you will have a Topnotch 18"x24"V Shadow Box ready for presentation. 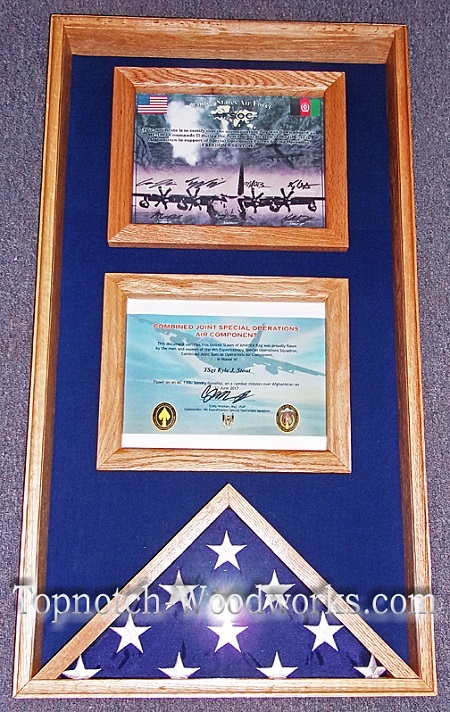 Ken, Got it today. 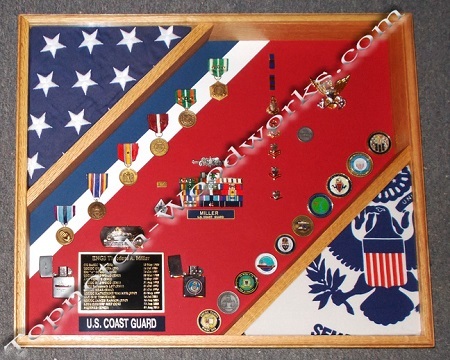 Looks awesome now to fill it up. 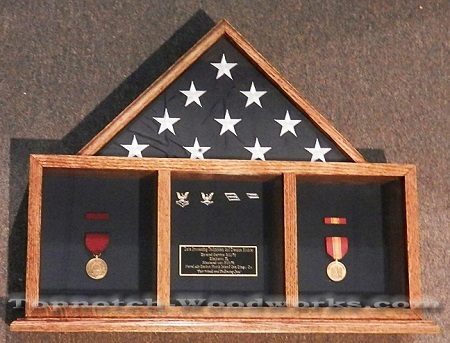 I received the case today, It’s just gorgeous, lovely and great woodwork. 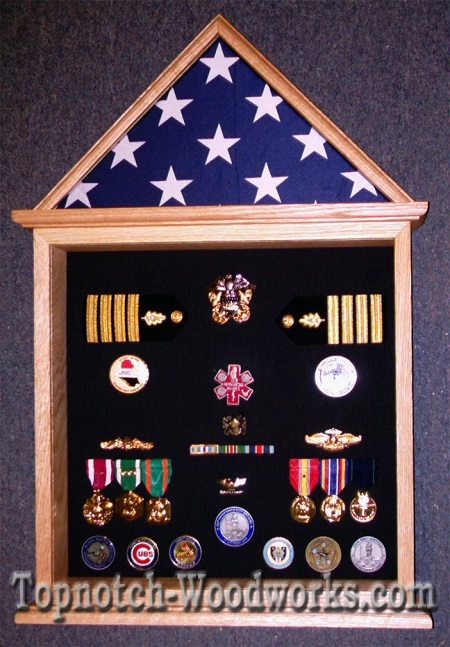 I’m happy! 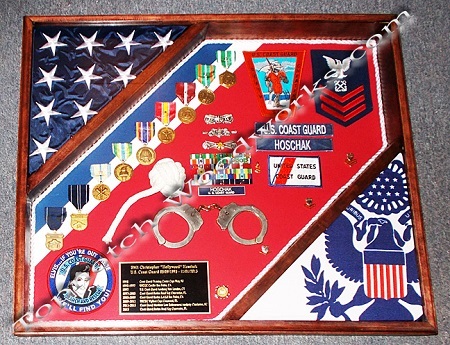 I can’t wait to show it off at my ceremony. 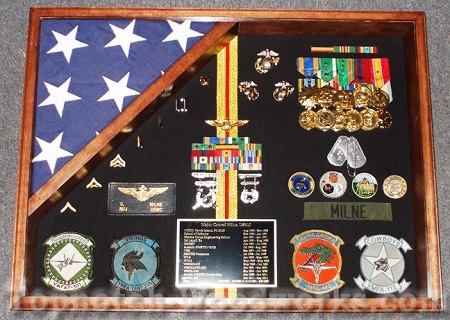 Thanks a million for making this transition extra special. 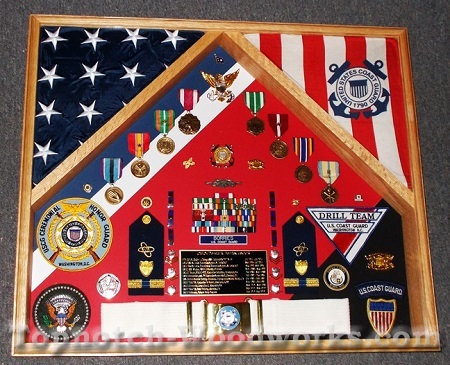 Take care and God Bless.